Executive Chef Chris Christou brings his global Greek, South African and British background to Kyma Flatiron, creating a welcoming and authentic menu reminiscent of the sun-drenched Greek islands. Encouraged to pursue a culinary career by his father, Christou opened Fisherman’s Grill, a small fish and chips shop in his native South Africa, at the age of 20. Six months after opening, a chef from neighboring Prue Leith College of Culinary Arts inspired him to further his education and he enrolled at the school only one week later. After graduating culinary school, Christou moved to London and ventured into Savoy Grill to ask chef Gordon Ramsay for a job. Stunned at the “old school” approach, Ramsay took a chance on the young chef and offered him a position in his kitchen. Christou spent three years working every inch of the line at the Savoy before Ramsay brought him to New York to be his Sous Chef at The London. 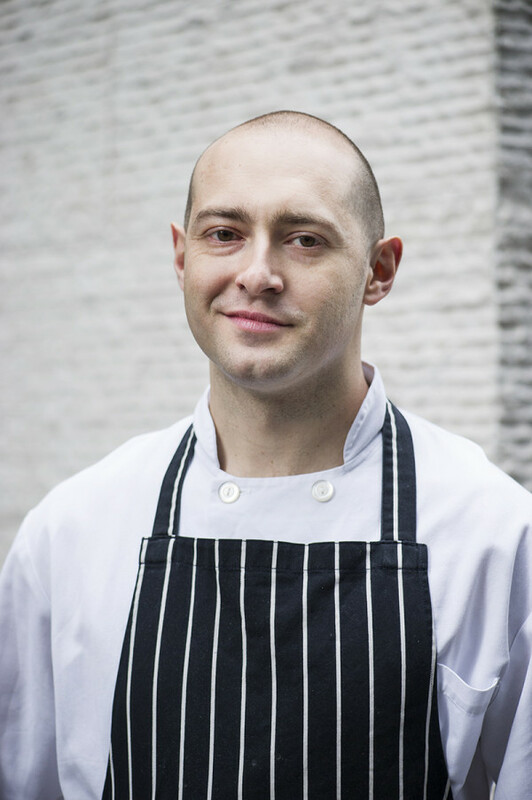 Since moving to New York, Christou has worked under Thomas Keller at Per Se, Paul Liebrandt atCorton, John Frasier at Dovetail, and Michael White as part of the opening team at Ai Fiori. In 2010, Christou served as Chef de Cuisine at Buddakan, where he was exposed to the scorching volume of one of the busiest kitchens in Manhattan and exponentially developed his artistic technique. A master in his craft, Christou was approached by the owners of Nerai to be their Executive Chef in late 2013. He now brings his talents to Kyma Flatiron to further enhance New York’s perception of Greek Cuisine.